If you were involved in a construction site accident involving an overhead crane, you need the insight and wisdom of the attorneys at The Orlow Firm. We have more than 30 years of experience handling Bronx crane accidents and other construction accidents. Although we have handled thousands of cases, no two cases are the same. We focus on the individual needs and circumstances of each of our injured clients. Learn how we can help you after you’ve been injured in a crane accident at a construction site. Call The Orlow Firm at (646) 647-3398 or contact us online. We represent clients throughout the New York City area, including The Bronx, Brooklyn, Manhattan and Queens. 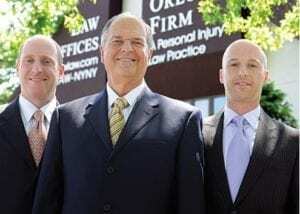 Contact The Orlow Firm to talk to an experienced crane accident lawyer in The Bronx. Our qualified and experienced lawyers will offer a confidential and honest assessment of your case.